We were bowling Friday night. Picture this: a group of teachers and spouses, most dressed in their Friday Green and Gold, gathered at the local bowling alley (and Pokemon gym) for a post-holiday party. I managed to catch several Pokemon critters while we were gathering. Chuck captured a local craft beer for himself and a glass of white zinfandel for me. And then we bowled. And it built from there. You can imagine the inspirations for these. This must be how Richard Rodgers felt when he caught that Hail Mary against the Lions. This must be how Mike McCarthy feels every time Aaron Rodgers throws a Hail Mary. This must be how Jordy Nelson felt when he got speared in the ribs by that dirty hit. This must be how Mason Crosby felt when he kicked off and then had to tackle the receiver. This must be how Tom Brady felt when he got caught deflating his footballs. Yeah, it was getting lamer than lame as the beers and the gin and tonics got tallied up and we returned our ugly shoes to the counter. In our defense, it was Friday the 13th, a full moon, and we’re teachers, for heaven’s sake! So readers, let’s leave it at that. Play the game with me. What would you say to fill in the blanks? “That must be how (blank) felt when (blankety blank) happened.” Now put your Diet Pepsi down, and think on it. If it takes a little while, just remember that the 23rd time is the charm. Hey, it worked for Shelly. Playoffs! And the Giants are Coming to Town! The New York Giants are coming to the Frozen Tundra sometime today for a game tomorrow. No snowstorm this week, so Eli Manning and company won’t have to worry about sliding off the runway like Minnesota did two weeks ago. In fact, Amigo remembers a weekend many years ago when the opposition (he’s pretty sure it was the Giants) was snowed in and had to spend a second and maybe third night in their hotel. Maybe it was this game. Then there was the year when word got out that Manning’s favorite television show was Seinfeld, and the local Fox affiliate decided to show something else in place of the usual rerun on Saturday night. In an attempt to psych out the visiting quarterback, they played an ancient black and white special on Vince Lombardi. Only in Packerland, my friends, only in Packerland do we take our football so seriously that it changes the television schedule – on Saturday. We’re planning to Eat the Opponent with a choice we’ve made in the past: Jersey Bagels. We’ll be supporting a local business, getting something delicious, and showing our Packer spirit at the same time. The Giants play their games in New Jersey, after all, not New York. I’m dressed up in one of my warmest and coziest Packer sweaters with a green/yellow patterned turtleneck underneath. It’s cold, cold, cold tonight. The Giants will face temperatures not quite as bad; the thermometer is due to rise above zero Fahrenheit tomorrow. Highs might even reach the teens. Go! Pack! Go! To do tonight: Visit Kwik Trip. Fill minivan’s gas tank, pick up a dozen eggs, and buy a snow brush. Mine disappeared last time Chuck borrowed the minivan for a weekend. Ta-dah! Chuck starts his new job tomorrow! He’s no longer in the television industry. He’ll be building fire trucks instead. He’s looking forward to the change, and we are, too. Doo-bee-doo-bee-doo: It’s the most wonderful time of the year to share my holiday music collection at work. My coworkers have been very accepting of my playing Christmas music as performed by brass groups, pop singers, a capella singers, and just about every genre that plays or sings the songs of the season. Only one puts on his headphones as soon as I arrive. Scrooge. I turn off the speakers and put on my headset as the clock approaches official work time. I’ve also had fun sharing videos with my virtual students. I use a safe-tube service to eliminate comments and ads (you’d be appalled to know what kind of garbage is out there), and I’m respectful of my students’ many beliefs. In sharing music, my goals include encouraging my students to log into class on time, quieting the chat before class, and starting class on a positive note. To-do: I haven’t logged into my school account during the weekend. I like to get some grading done at home whenever I can. I have to balance that, however, with my own need for rest and respite, a.k.a. sanity. This item may or may not become a Ta-dah! Meanwhile, Amigo is helping Chuck get supper ready. The Packers won, and we’re looking out over the first snow of the season. Life is good. Readers, what’s a ta-dah! in your life? NFL players may not have positions of authority, but they definitely have an outstanding opportunity to speak out on any issue. When Colin Kaepernick remained seated during the National Anthem, people noticed. People in the media noticed, and many asked Kaepernick why he’d made the choice to sit rather than follow standard etiquette during the Star Spangled Banner. Here’s where the bully pulpit comes in. Any ordinary fan could sit or kneel, and no one would notice. Any ordinary office worker could choose to sit rather than follow flag and anthem guidelines. There might be consequences, but no one outside the office would know. Professional athletes have an opportunity to make a statement in a very public way. Remember Green Bay Packer Reggie White? He made religion a part of his mission in life. When Reggie retired from football, he lost his bully pulpit. People knew who he was and what he had to say, but he no longer had the renown he’d enjoyed as Minister of Defense. What did he do? He joined the Carolina Panthers. Agree or disagree with Kaepernick’s actions, support his movement or not, it’s impossible to look past him kneeling while the rest of the team stands. He sticks out. He’s on national television. The photographers surround him. Spectators will pay attention. My question for the young man is this: did he think through the consequences of his actions before he knelt? 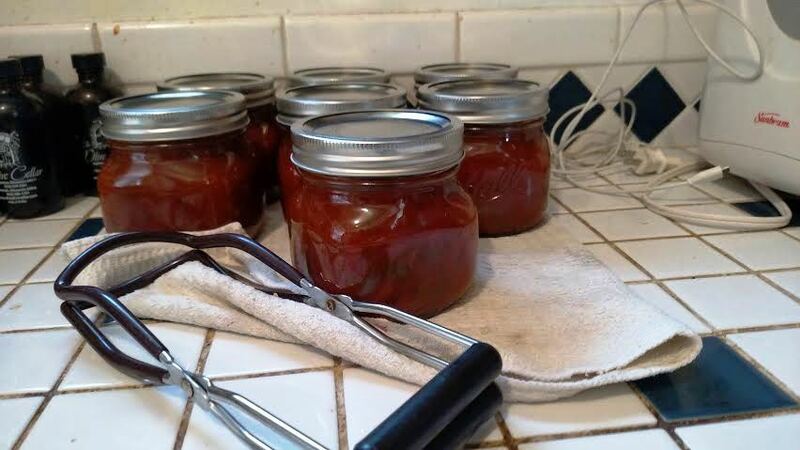 Did he realize that he would stir up a storm? Our first amendment gives him the right to speak out in this way. Was he aware that the world would be watching? Did he make his choices privately, or did he make his decision knowing that as an NFL football player, his bully pulpit was second to none? That’s My (green and gold) Son. Team building exercise tonight is Packer Trivia. Each section is a team. Leads are winning. That’s YOUR son. Indeed. When they came home, I found out Amigo had missed one question: Bart Starr’s real first name. It’s Bryan – Bryan Bartlett Starr. Amigo guessed Bartholomew. He also wondered about Lombardi Time. Lombardi Time, for those not in the know, meant fifteen minutes earlier than scheduled. If Lombardi scheduled a meeting at 8:30, his players knew to arrive by 8:15. There was no grace period. Bart Starr remembers getting to an 8:30 meeting at 8:15 only to find out he was a half hour late; the meeting time had been changed to 8:00. Ouch. Well, that’s my boy. Green and gold to the core. We don’t utilize Lombardi Time in our home, but we know a lot about team history. How about you, readers? Do you have encyclopedic knowledge of sports trivia? Or other trivia? That knowledge isn’t useful very often, but it certainly is fun. Awareness? I’ll show you Awareness. Every year in October I see the NFL all decked out in pink accessories and it bugs me. Bugs me no end. I could post an encore, but instead I’ll show you awareness and take it up a notch and recognize the real heroes here, and they’re not the guys with pink Gatorade towels. 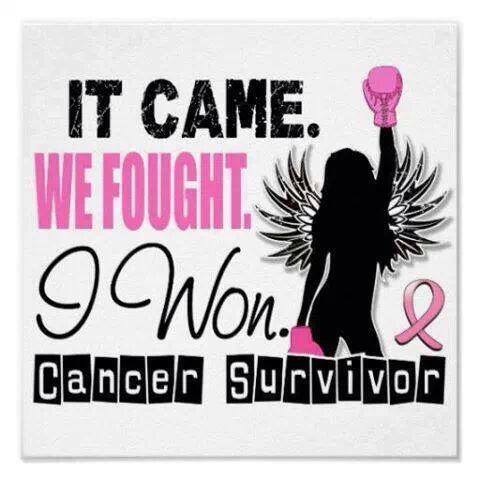 The real heroes are the women who faced breast cancer straight on and won. Women who’ve beat breast cancer and women who have tried are the real heroes, the real role models, the real people to put on a pedestal. That pedestal doesn’t have to be pink, either. Awareness? Bah, humbug. That’s just another excuse to throw pink around a football field. It’s time to put the money where it makes a real difference: let’s see the NFL donating directly to organizations that fund research, testing, and research. Happiness, simple pleasures, you name it – it’s all in how you see it. 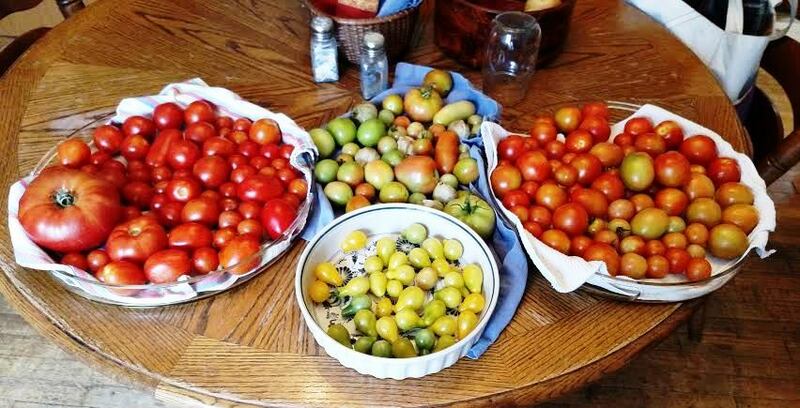 For an avid gardener and one who cans, an autumn Sunday brings simple pleasures such as these. Good coffee – for a good reason. 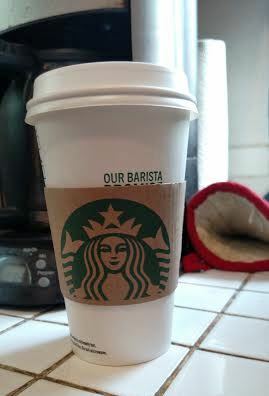 A good reason to pick up Starbucks Pike Place blend coffee: Eating the Opponent, Seattle. Go! Pack! Go! The colors are all wrong, too. 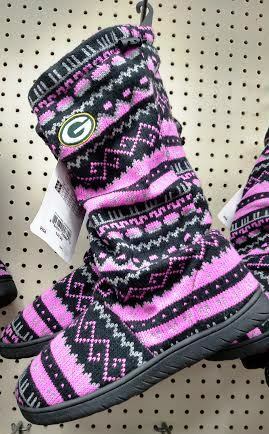 This store has a contract with the NFL to use the Green Bay “G”, but the logo on these purple/fuschia/pinkish slippers just looks like an afterthought. I own a piece of team stock. I own real Mukluks. I don’t need to own these ridiculous slippers. And I won’t even mention some of the garb available in other nearby departments.